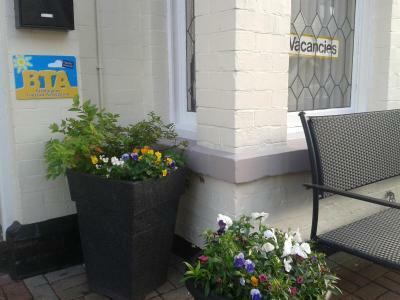 Lock in a great price for Marshall Lodge Guest House – rated 9.5 by recent guests! Not a lot. The room was very expensive for what it was. The room was large and very comfortable. 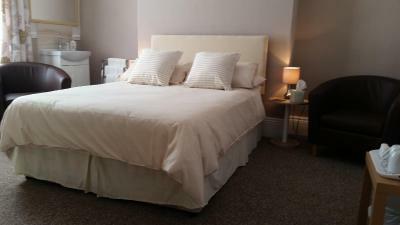 It was extremely clean and the location was excellent.The hosts were very welcoming and couldn’t do enough for you. Excellent host, friendly and very accommodating. Excellent location. Will be returning. From arriving too leaving we both felt welcome by the hotel owners both very friendly! Everything was loverly and clean breakfast very nice and a warm welcome . Close to all amenities defenetley be back . The hosts were very friendly. Everywhere was spotless and clean. Breakfast was lovely. The room was spacious and decorated lovely. We stayed for two nights and had a fantastic sleep on both nights as the bed was so comfy. 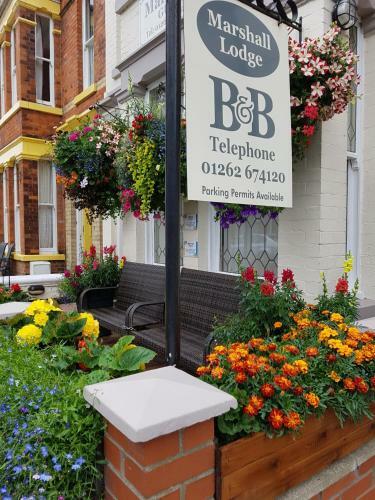 We are definitely going to stay here again and will be recommending it. Couldn’t fault our weekend away staying in the Marshall lodge, we weren’t in the lodge most of the time but while there no complaints. Check in was quick and easy, as we were there for a dance festival we were up and out for 7.30am missing breakfast the owners had us a bacon roll each waiting for us leaving at 7.30 both mornings, rooms and lodge were spotless. Thouroughly enjoyed our time there and would deffo book again. 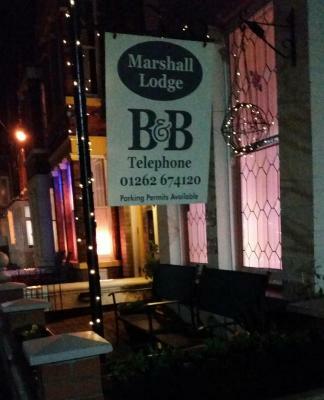 Marshall Lodge Guest House offers accommodations in Bridlington. All rooms have a flat-screen TV. Certain rooms include a seating area to relax in after a busy day. You will find a kettle in the room. Extras include free toiletries and a hair dryer. 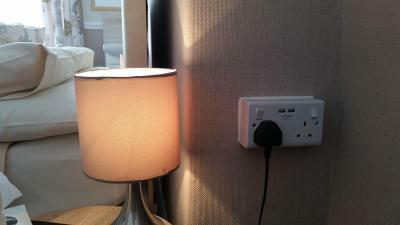 Marshall Lodge Guest House features free WiFi . You can play mini-golf at this guest house, and the area is popular for golfing and cycling. 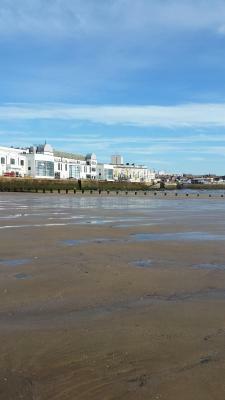 Scarborough is 17 mi from Marshall Lodge Guest House, while Kingston upon Hull is 24 mi from the property. Humberside Airport is 35 mi away. 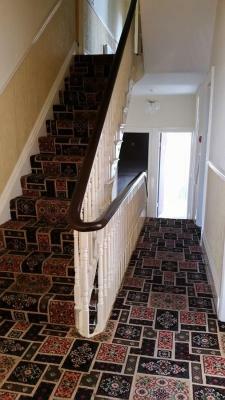 This is our guests' favorite part of Bridlington, according to independent reviews. 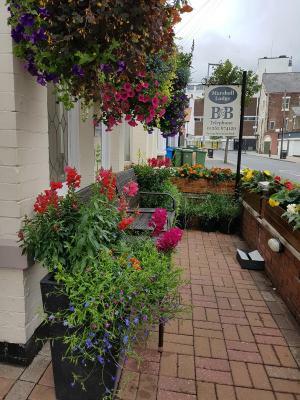 This property is also rated for the best value in Bridlington! Guests are getting more for their money when compared to other properties in this city. 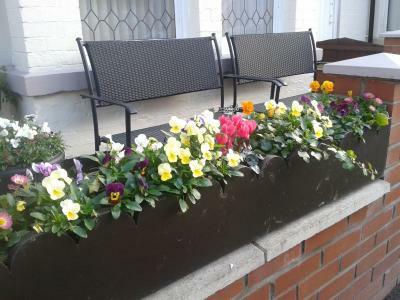 뀐 Located in the top-rated area in Bridlington, this property has an excellent location score of 9.5! When would you like to stay at Marshall Lodge Guest House? 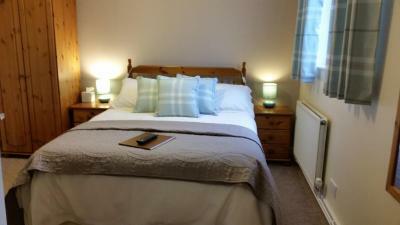 This twin/double room has a tea/coffee maker, seating area and electric kettle. the twin rooms are located on the second floor. 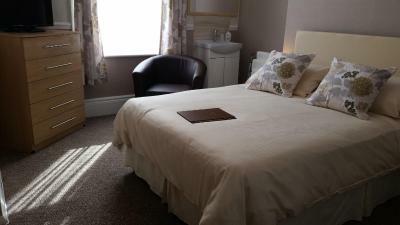 Located on the second floor, this en-suite double room features a tea/coffee maker, seating area and electric kettle. 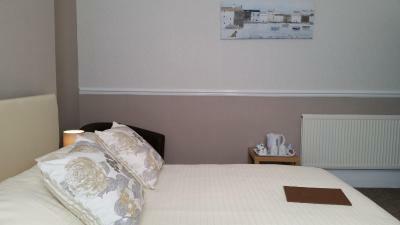 Located on the first floor, this double room features a electric kettle, seating area and tea/coffee maker. House Rules Marshall Lodge Guest House takes special requests – add in the next step! Debit card Marshall Lodge Guest House accepts these cards and reserves the right to temporarily hold an amount prior to arrival. Marshall Lodge Guest House accepts these cards and reserves the right to temporarily hold an amount prior to arrival. Please note, children aged 6 years and older can be accommodated at the property. Kindly note, on-street parking is available at the property, and guests can receive parking permits from the property's reception. Please inform Marshall Lodge Guest House of your expected arrival time in advance. You can use the Special Requests box when booking, or contact the property directly using the contact details in your confirmation. We had a shared bathroom but never really bothered us. We enjoyed it all . Nothing to say in this. Everything, lovely little place, the owners fantastic breakfast excellent.